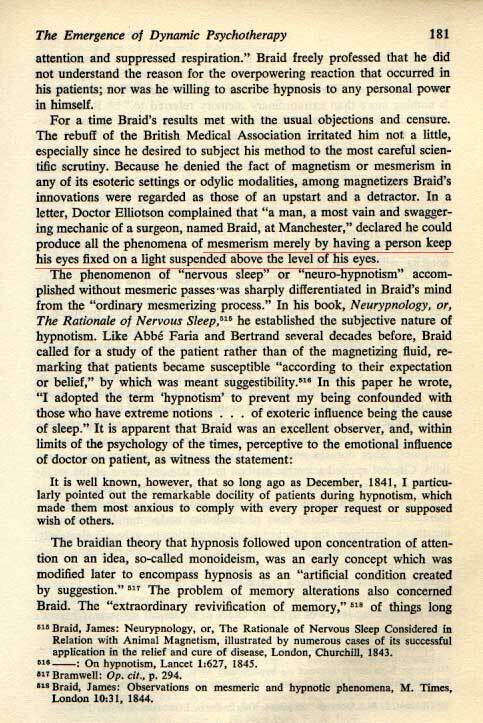 Briads work had scientific veracity within his own skills. The phrase "pleased to decline entertaining the subject" signifies attitude controlling the perception rather than reason, the first sign that the process of dissociation is occurring. 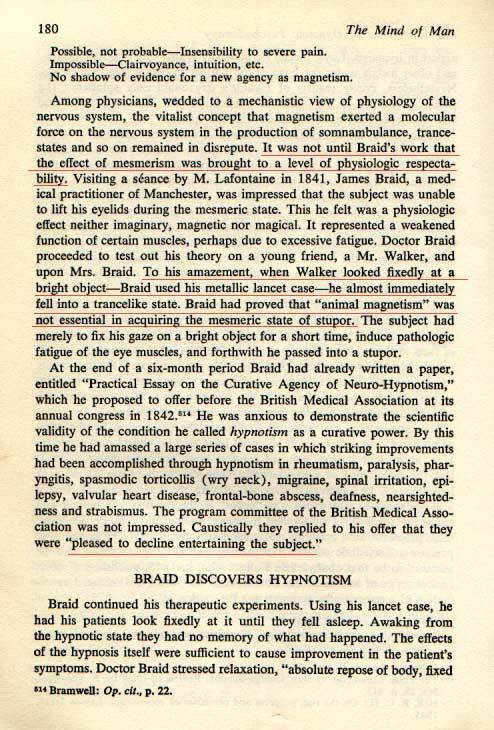 Braid established that it was the action of the subjects mind that primarily enabled the changed mental state.